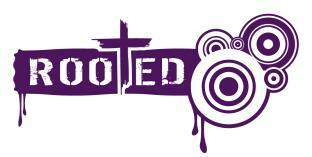 Rooted is the church’s group for School Years 9-13 (14-18 year olds), held on Thursday evenings from 6:15-8:15pm. It’s a great opportunity to spend time with friends, to read the Bible, pray, chat and have a meal together. Highlights of our past year have included a weekend away together in Southampton, BBQs, film nights and Frisbee and football in the park. The main focus of our meeting is our Bible study, where we delve deep into God’s Word and help each other to understand it. Recently we’ve looked at Christianity Explored and the books of Colossians and Daniel from the Bible. We always seek to see how the Bible applies to our lives. Rooted is open to everyone in years 9-13 (age 14-18). We greet you with a smile, build you up with the Bible and feed you till you’re about ready to burst. Every Thursday! We hope to see you there. There is a cost of £2.00 per week to cover food. Friday nights 7–8.30pm in the church hall. Sundays during our morning service (alternate weeks). On the other weeks (one of which is our All Age Service) we stay in the service to learn from God’s word with the adults.